In a posture of humility and faith, Mary responded to the angel by declaring that she is “the Lord’s servant” and may everything that the angel said about her come true. She assured him of her posture, declared her faith, and now, she was about to act on what the angel told her. The angel left Mary to reflect. What was Mary thinking and feeling about the angel’s message? Mary’s life changed forever. In faith, Mary actued on what she believed God would accomplish. Mary hurried to a town in the hill country of Judea-where Zechariah lived. She, knowing that Elizabeth was pregnant, entered the house and greeted Elizabeth. Mary may not have realized how her faith would now be strengthened. Elizabeth’s reaction was extraordinary: The baby within her, John the Baptist, leaped within her womb and Elizabeth was filled with the Holy Spirit. Elizabeth, in a loud voice, declared her joy and she began to address Mary directly. Elizabeth declared to Mary, “God blessed you above all women, and your child is blessed.” Blessed means happiness – happiness like a serene joy. Yes, she was blessed; she was chosen to be the mother of the Lord Jesus. Elizabeth continued with the same humility that Mary had responded to the angel. Elizabeth said “Why am I so honored, that the mother of my Lord should visit me? Elizabeth knew from the Holy Spirit that the baby within Mary was actually her Lord and she was was humbled at the thought of being part of God’s redemption plan – bringing her Savior into the world. Both Mary and Elizabeth believed God’s word and trusted that God was able to bring His promises to completion. Both women shared their faith, joy, and trust. The divine encounter strengthened both women and they were affirmed in God’s promise, and they experienced joy and celectration in the midst of history’s greatest miracle. In humility, Mary and Elizabeth considered it an honour to be part of God’s plan for the world. They desired His will above their own will. They believed God’s promises, trusted His word, and believed He was able to accomplish His plans – even if those plans defy logic and reason. The Lord affirmed both women – blessed are we who believe the Lord’s Word – He is more than able to fulfill His Word and do what He says. May we approach the Lord with the same humility, faith, and trust in His ability to do what He promises. May we act on what He says, allow the Holy Spirit to fill us, and just like Elizabeth, may His glory captivate our hearts and minds to be a willing and faithful part of His passion and plan to redeem this broken world. In-Step is an opportunity to serve the church – to offer Christians a learning and leadership development opportunity that reaches out beyond the four walls of the church. We provide the screening, orienting, training, experience in community, leadership development opportunities, relationships with the various venues, administrative infrastructure, and ministry tools/resources. Their people gain experience, a learning opportunity that will bring the excitement, passion and life-transforming experience back to the local church. Step into The LIFE Challenge in a 10 week “experiential learning” adventure. The 3 Step Process involves teams going into prisons, visiting widows and seniors… all of society’s broken, marginalized and hurting. We are excited about this experiential learning and personal growth and development opportunity. Participants will discover intimacy with God, learn to depend on the Holy Spirit, and increasingly understand God’s heart and love. They will sharpen interpersonal skills, learn about self working in a team, and explore potential leadership while developing confidence and skills in listening, asking questions, and sharing their story and His story. 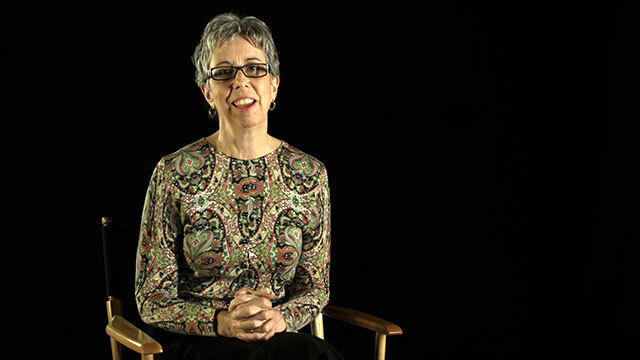 Watch the story of Carolyn Culbertson’s with sharing the gospel, and you’ll realize that evangelism doesn’t have to be that complicated. Carolyn had only been a Christian for a few short weeks when she said ‘yes’ to a friend’s invitation to “go witnessing.” She had never even read through the gospel booklet she was supposed to be sharing with people! In the end, that didn’t matter. The person Carolyn spoke to was thrilled to discover Jesus and His love for her. It wasn’t what Carolyn didn’t know that mattered in that encounter. What mattered was the simple prayer she and her Christian friend prayed before they began: “Please fill us with your Holy Spirit.” In her brand-new-believer kind of way, Carolyn trusted God to lead Her. When He quietly spoke to her (“Go talk to that girl!”), she listened and responded. Imagine the incredible things we would all get to participate in if the first thing we did every morning was say to God, “Please fill me with your Holy Spirit. Help me to listen and respond to you today.” Imagine if we paid close attention to those little nudges from Jesus. What kind of adventures would we get to experience? This week, “walk around with God.” Do your best to invite the Holy Spirit into every moment of your day, and ask Him to lead you in loving people and reaching out to them. Try not to worry about whether you have the right words to say. Trust that if He leads you into a situation, He’ll help you figure it out! Better yet, share this video with a friend and then ask him or her to join you in this challenge. Agree together that you’ll both let the Holy Spirit lead you this week, and pray for each other every day. At the end of the week, get in touch and share your experiences. You’ll likely have lots to celebrate! By Linda Elving, Leader of Connecting Streams B.C. As I searched thru the Christmas story I realized the mercy of God to allow Mary & Elizabeth to experience a move of God together – when no one else could understand. They grew both with child and had each other to fight off fear. Both had a destiny apart but had each other to confirm that God had done something to them and that they didn’t know what that would be like, but they had each other to cheer on. Even the shephards had each other to support their story of angels ablaze in the sky telling them of a message from God. Even the shepherd’s helped Mary and Joseph fight off fear as a child was born to them as it was told to them too. Never did God leave them by themselves to be swallowed by fear. It was too much to take in for all of them – too big a news: “as God sending them help for mankind” For many had waited and preached that a Messiah was coming – but NOW? they thought – NOW – incredulous. God sent his secret help to fool Satan and gain the victory over his evil plans. Remember God knows good and evil – but Satan can only know the way of man’s thinking not God’s – God’s thoughts Satan cannot discern! Christmas is a secret time – Jesus came to Mary by the Holy Spirit privately. Born privately in a stable. Announced to only the lowly shephards privately. Even the wise men arrived privately and provided them to escape Herod’s grasp privately, by supplying gold so they could slip away to Eygpt privately. Jesus is still hidden behind Santa and all the glitz – privately. But ” Silent Night” still sings on – and privately the glad tidings still cause us to stop, and listen to an excited announcement for us from heaven. God heard, God sees, God came to us in Jesus to teach us, heal us, love us, and show us the way to the Father. What does WORTHY mean to you…. We met 4 girls recently in the prison and spoke to them of God’s personal words that they are worthy to accept his grace, his invitation to come into the kingdom…that they can accept these words…they are worthy to accept GRACE! Please keep praying, they are worthy…for the whole gospel…for the fullness that is offered. Connecting Streams Women’s Ministry proudly presents The Compass Discovery Journal. This updated version includes improved graphics and illustrations, supplementary relational activities, additional engaging questions, extensive endnote references, integrated Scriptural truths, and expanded personal notes pages. Click here for more information and to take advantage of our special discount pricing. Join Power to Change every week day for Daily Devotional Chat in women’s chatroom at 10:30am Eastern. Your neighbors want to hear about God, and we have the emails to prove it. Each month thousands of people send in their questions. We use The Mentor Center (TMC) to match each one with a trained volunteer mentor. Click here to read more. Become a mentor and see for yourself how easy it is to minister right where you are. Watch the video How to Become a Mentor.